If you’re wondering exactly what ingredients you should be looking for in your dog’s food, you first need to know which nutrients your dog needs, according to the ASPCA and other dog experts. 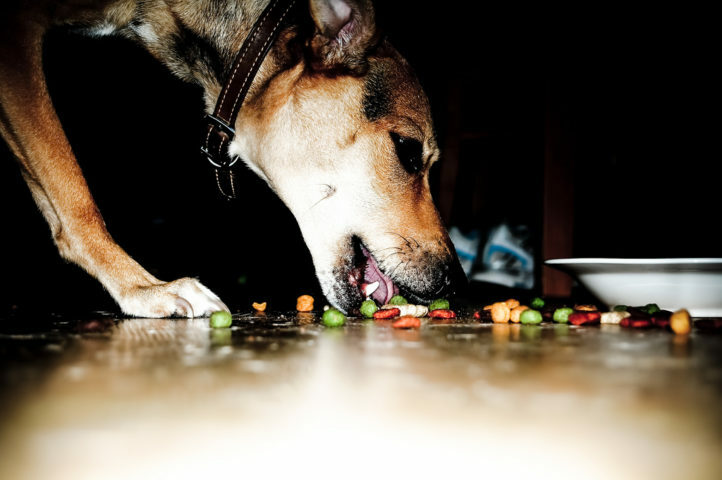 These are the bare minimums that need to be included in your dog’s daily diet. After evaluating the basic nutrients, we’ll look at some of the other ingredients commonly found in dog food, in order to help you make a wise choice for your dog. While food may help meet some of your pet’s water needs (dry food has up to 10 percent moisture, while canned food has up to 78 percent moisture), pets need to have fresh clean water available to them at all times. A deficiency of water may have serious repercussions for pets: a 10-percent decrease in body water can cause serious illness, while a 15-percent loss can result in death. How Much Water Should An Active Dog Drink? Proteins can be obtained from a number of sources. Animal-based proteins such as chicken, lamb, turkey, beef, fish and egg have complete amino acid profiles … Protein is also found in vegetables, cereals and soy, but these are considered incomplete proteins. Fats are the most concentrated form of food energy, providing your pet with more than twice the energy of proteins or carbohydrates … Fats provide the body insulation and protection for internal organs. Essential fatty acids must be provided in a pet’s diet because they cannot be synthesized by a dog in sufficient amounts. A deficiency of essential fatty acids may result in reduced growth or increased skin problems … Linoleic acid is an essential fatty acid for dogs. Omega-6 and omega-3 fatty acids play a vital role in healing inflammation. Fibers are kinds of carbohydrates that modify the mix of the bacterial population in the small intestine, which can help manage chronic diarrhea. For dogs to obtain the most benefit from fiber, the fiber source must bemoderately fermentable … Examples of moderately fermentable fibers include brans (corn, rice and wheat) and wheat middlings. Foods that are high in fiber are not good for dogs with high energy requirements, such as those who are young and growing. Tiny amounts of vitamins are essential to dogs for normal metabolic functioning. Most vitamins cannot be synthesized in the body, and therefore are essential in the diet … When feeding a complete and balanced diet, it is unnecessary to give a vitamin supplement unless a specific vitamin deficiency is diagnosed by a veterinarian. Due to the practice of over supplementation, hypervitaminosis — poisoning due to excess vitamins — is more common these days than hypovitaminosis, or vitamin deficiency! Excess vitamin A may result in bone and joint pain, brittle bones and dry skin. Excess vitamin D may result in very dense bones, soft tissue calcification and joint calcification. Minerals are inorganic compounds that are not metabolized and yield no energy. These nutrients cannot be synthesized by animals and must be provided in the diet. Now that you know the bare minimums that should be in your dog’s food, let’s look at some of the specific ingredients that you want (and don’t want) in your dog’s food.